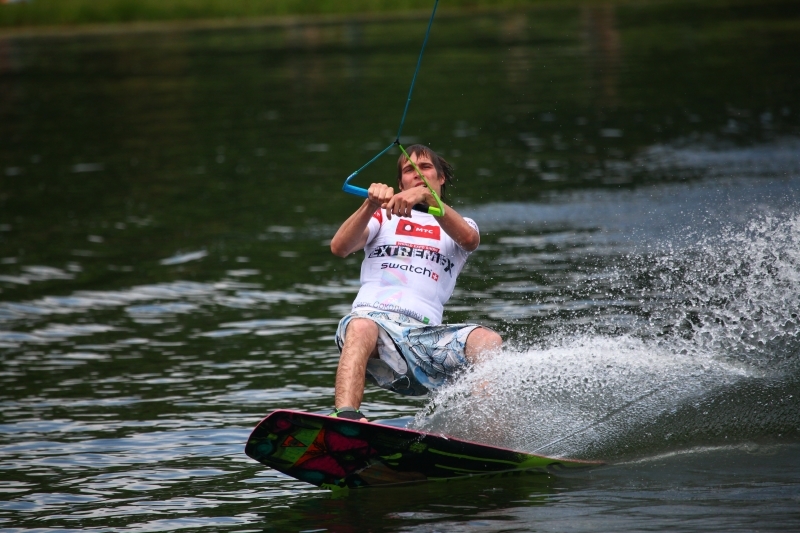 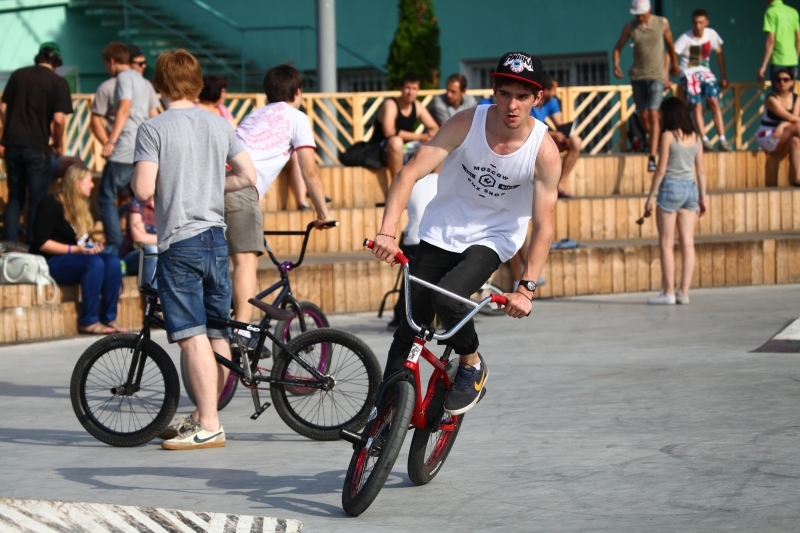 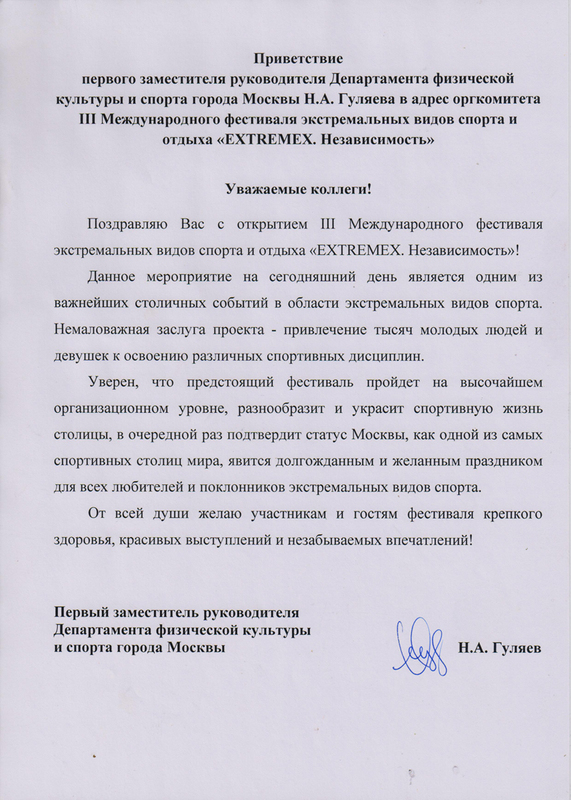 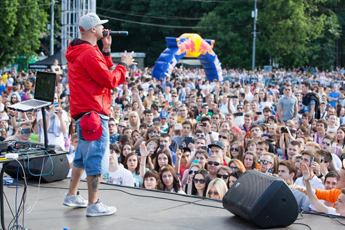 The organizing committee of EXTREMEX Independence, the International festival of extreme sports, leisure and tourism which is to take place in Sokolniki Park from June 12th – 15th, 2014, has received a letter of greeting from the Moscow city Government. 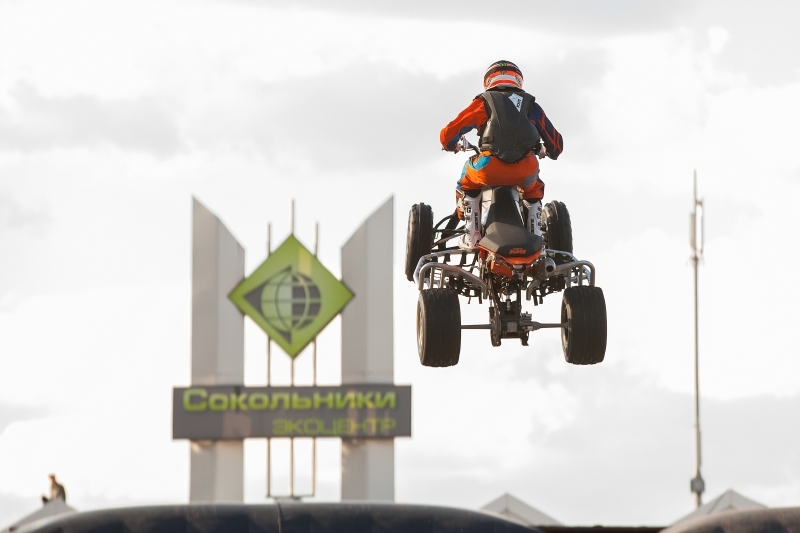 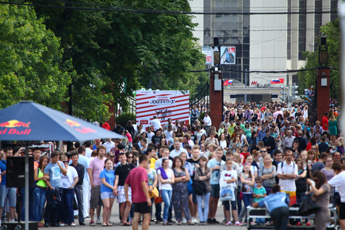 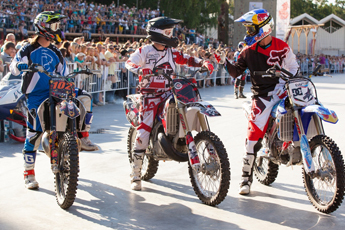 In his address, Nikolay Gulyaev, the first deputy head of the Department of Physical Culture and Sport of the city of Moscow remarks that currently EXTREMEX Independence is one of the most significant events of the capital in the field of extreme sports. According to Moscomsport (the Department of Physical Culture and Sport of the city of Moscow), the great service of the project is considered to be the drawing of many young girls and boys into different sports. In his letter Mr. Gulyaev also expresses confidence that the upcoming festival will be held at the highest organizational level, will diversify and decorate the sports life of the capital. The team of Moskau Messe Exhibition Company with the support of Sokolniki Exhibition and Convention Centre and Sokolniki Park will be operating the event.